Notice to Citizens: Please be aware that brush/wood burning in the State of Kentucky ends on April 30, and Burn Permits will not be available again until October 1. If you have yard waste that you need to burn, please contact the Fire Department to get a free Burn Permit before April 30. 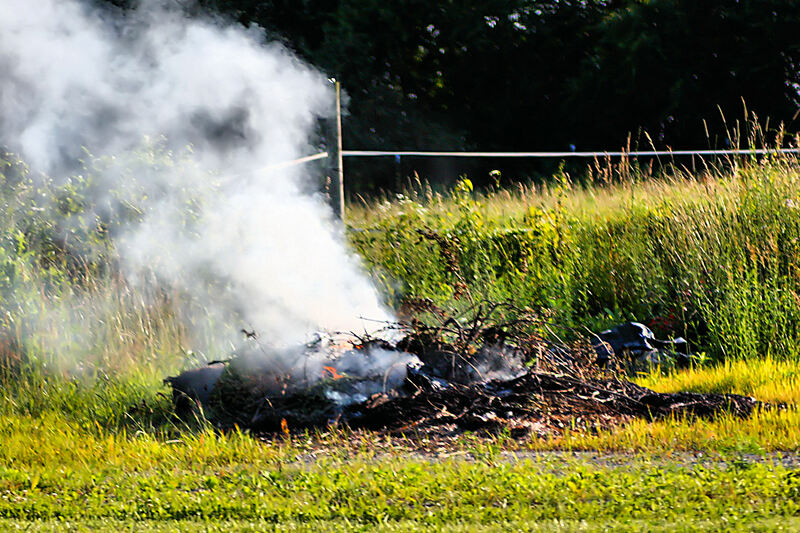 Open Burning is the burning of unwanted materials, such as paper, trees, brush, leaves, grass, and other yard debris, where smoke and other emissions are released directly into the air. Open burning pollutes the air and poses a fire hazard. The air pollution created by open burning can irritate eyes and lungs, obscure visibility, and create annoying odors or pose other nuisance or health threats. Because of the problems created by this activity, state and local laws prohibit open burning of many materials. Many people are unaware of the regulations or unsure about which regulations apply to them. The following information will help identify the regulations and alternatives to open burning. To obtain an Open Burn Permit, you are required to come to the Fire House on the day you plan to burn. Open Burn Permits are issued for one day and only on the day you want to burn. We do not issue burn permits for extra days. If you plan to burn more than one day, you will need to return to the Fire House the next day for another Burn Permit. 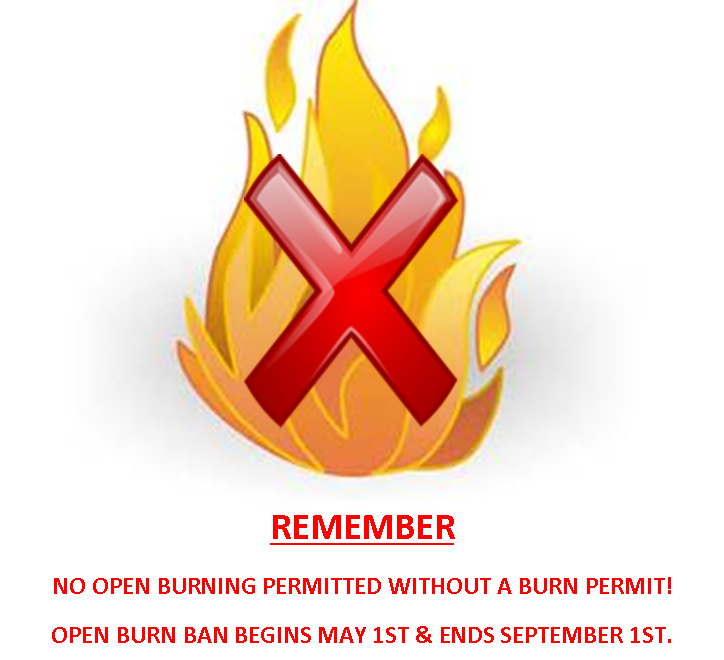 Burn Permits are only valid on the date and the time specified. There is no charge to get a Burn Permit. State and local laws permit open burning only during the months of October 1 to April 30. Open Burning is banned in the cities of Bellevue and Dayton during the months of May through September. In the event of a seasonable dry spell, additional months may require a ban on open burning. 1. That a firebreak of a minimum of ten (10) feet shall be maintained at all times. 2. That a charged hose line be kept at the fire at all times. 3. That an adult be in attendance at all times. 4. That no accelerating fuels or agents be used to induce burning. 5. That fires be completely extinguished by darkness, except by special written permission. 6. That complaints of excessive smoke or smell can cause the immediate revocation of the fire permit. 7. That the holder of the permit is liable for damages to adjacent structures and/or property resulting from fires set under this permit. 8. Fire permits shall be surrendered for examination by personnel of the Fire Department and/or Police Department of the cities of Bellevue and Dayton. A Burn Permit is not needed for cooking fires, grills or approved outdoor fire places. Air quality regulations allow the burning of logs, charcoal and other similar materials for the purpose of food preparation, recreation, ceremonial occasions, and warming of outdoor workers. These types of fires must be in approved metal/steel containers, well-constructed fire pit or rock pit, and should be at least 15 feet from buildings. Composting yard waste and using leaves and grass clippings for mulch are alternatives to open burning of yard waste. Composting produces valuable soil fertilizer through the natural process of decomposition. Compost piles are simple to begin and maintain, and take up relatively little space. For more information on composting at home, contact the Campbell County Extension Office at 859-572-2600. Contact your city building about recycling of plastics, cardboard, paper, metals, etc. in your area. Donate reusable items to charitable organizations, families, or friends. Dispose of unwanted items in a licensed landfill or incinerator instead of open burning. For more information about Opening Burning and Burn Permits, please contact the Fire Department at 859-261-0083.